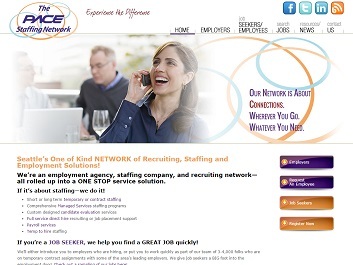 PACE Staffing Network (web site http://www.pacestaffing.com) is a premier staffing agency serving the Seattle area, with placement and hiring support to job seekers and employers. Low position in search ranking because the site was not mobile responsive. Beginning on April 21, 2015, Google’s search engine ranking algorithm favored websites that look and perform better on mobile devices, making them appear higher on search results. For more information, check out this related article about Google’s “Mobilegeddon” in the Wall Street Journal. Dated site design and layout hurt its ability to attract and retain visitors and was behind the competition. PACE’s web site, at the time when it was originally built, favored then-popular design principals and worked well with the lower-speed internet connection available at that time. For example, the design favored textual content instead of image and video content. Its “narrow-body” layout looked dated and did not take full advantage of wider and bigger display screens that we have today. Moreover, its hard-link menu based navigation did not work well with mobile and touch-screen devices. Also, our client is in a competitive market, where we observed that some its competitors had “modernized” their web sites to bring better user experience and to get more visitors from search. A FanZappy principal worked with PACE’s business owner upfront investigated the site issues and options on how to update the site. After the investigations and discussions with PACE owner, it became clear a complete site redesign was needed to overcome the above shortcomings and regain the leadership in the competitive market. Audience Separation. One redesign point is to separate the original homogeneous site into two “sub-sites,” each serving a distinct audience: employers, job seekers. Each part would go with its own site, content, and call-to-action structure, each with a distinctive color theme derived from client’s branding colors. Audience separation also allowed us to uncluttered the home page and turned it into a “gateway” page with only key messages that attract both audiences. Upon landing on the home page, a visitor will choose a sub-site to continue his site visit to find more information based on his role. The home page also contains an entry point to a functional site for users with existing PACE accounts. Above-the-Fold Attention. Nowadays, a site visitor only spends seconds to view the above-the-fold section of the page, especially on the home page, to decide whether to continue his site visit. To engage with visitors in the first seconds, the new home page now has a full-size above-the-fold parallax visual section, where we display a clear and large-font textual tagline followed with three gateway buttons. It is simple and streamlined now to attract visitors. Wide Format. To take advantage of today’s wide screen displays, the site layout has been updated to the “full width” sectional format with a full width background image, produced to match PACE’s branding. Sectional Navigation. 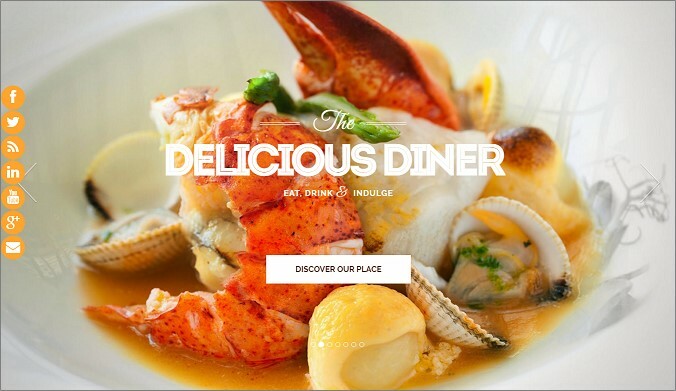 Instead of page-based site navigation with menus and side bars used by the original site that worked better with mouse clicks on narrow screens, the redesigned site adopts sectional navigation on fewer physical pages, each page contain multiple full-width content sections with inner-page navigation support with anchor tags. This new mode of rolling navigation is more suitable for touch screens and mobile devices. Visual Content. We inserted relevant large- or full-size images and videos that transformed PACE’s web site from being text heavy to one with the right balance of interconnected textual and visual content. We also beat PACE’s competitors by making the site visually more impressive therefore engaging with modern animation effects such as using parallax images and video background. Social Media Integration. Social media has become more important for all business nowadays. The redesigned web site is fully integrated with PACE’s social media accounts. For example, we added an “Info Center” section on the home page that displays client’s latest social media and blog posts. Having fresh and relevant content on the home page has helped lift search ranking for PACE. 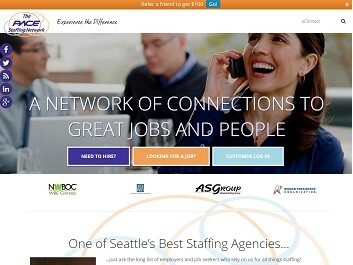 As another example, social media icons are displayed promptly on both site header and footer. Call to Action. For each audience on each sub-site, we worked with PACE to define a set of lead-gen call-to-action events, namely, inquiry and registration forms with engaging offers. We created these call-to-action visitor-to-lead conversion pages and put action “hooks” (links or buttons) to these conversion pages throughout the content. End-to-End Tracking. As part of the redesign, we completely integrated Google Analytics into PACE’s web site and are now able to track every lead generated and to answer questions such as how this visitor came to the site, what the navigation path was for him, and how the visitor was converted into a lead. End-to-end tracking provided important knowledge and insight into how to further optimize the site as we go. Run these free DIY tests to check out the load speed and mobile responsiveness of your web site or landing page! 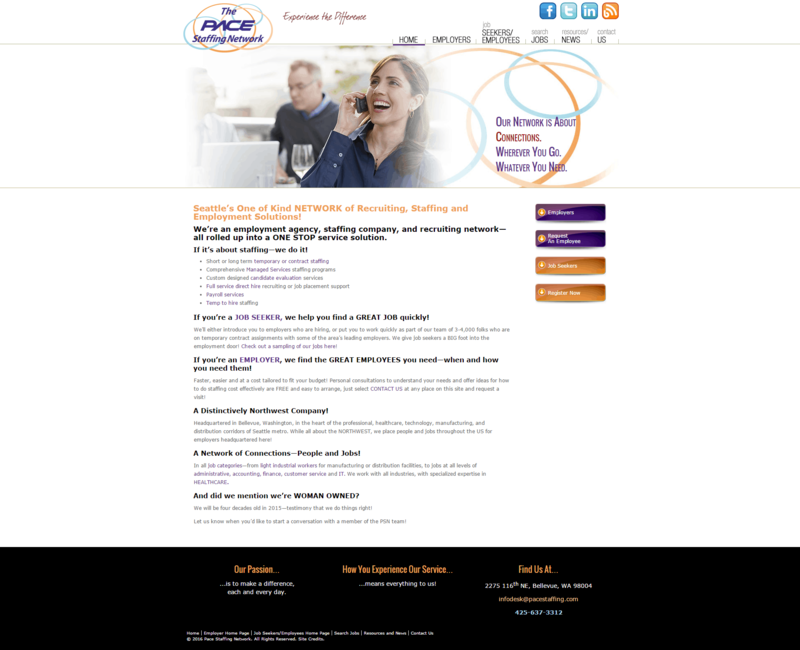 Please also take a look at PACE Web Site SEO effort we had that went hand in hand with this site redesign project.